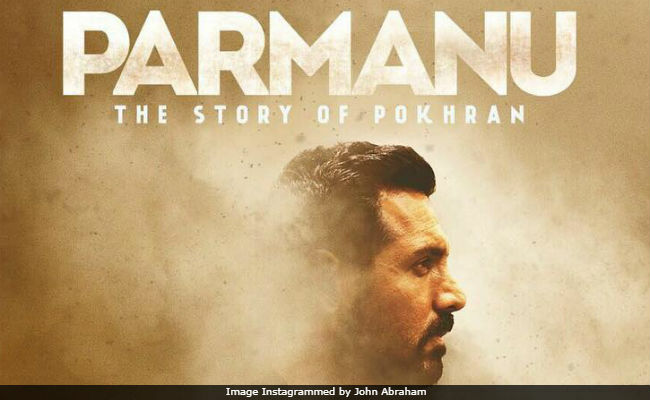 Actor John Abraham has decided to go solo with his forthcoming project Parmanu: The Story of Pokhran after his production house John Abraham Entertainment terminated partnership with Kriarj Entertainment over material breaches, reported news agency PTI. John's production house published a notice in a leading daily, which read, "Delay in payments/non-payments, have caused delays in the post production work after the film's principal shoot was completed by us in time and on schedule last year." On the other hand, Kriarj responded to the decision as 'invalid and illegal.' "Please note that the said termination is illegal and invalid. Our rights in the film as a joint producer/presenter and owner of all rights are fully secured, we have always fulfilled all our commitments till date and have clear intent to continue doing so," PTI quoted Kriarj as saying. Kriarj Entertainment, in fact, accused JA Entertainment for not fulfilling their commitment to finish the project. To this John Abraham's production house replied, "We have fulfilled our commitment at every stage of this project and intimated Kriarj in writing from time to time. We have been waiting and asking for payments at every stage. Our payments have either been delayed or we have received wrong UTR number. Cheque payments have been stopped time and again," reported PTI. In addition, John Abraham's production house also pointed out Kriarj's bad reputation, as one of the reasons behind terminating the partnership. A while ago, Kriarj was involved in legal row with filmmaker Abhishek Kapoor over Kedarnath, starring Sushant Singh Rajput and Sara Ali Khan. Parmanu: The Story of Pokhran was earlier scheduled to release in December 2017 but reportedly got delayed to avoid a clash at the box office with Sanjay Leela Bhansali's "Padmaavat". Last month, John Abraham had announced that the film would hit the screens on April 6. In wake of John Abraham Entertainment and Kriarj's tussle, the former has promised to announce a new release date for Parmanu: The Story of Pokhran soon, reported PTI. "Given the above, and in the best interest of the film, we have terminated our contract with Kriarj Entertainment Pvt. Ltd. and will soon announce the release schedule. Any future attempts by Kriarj to jeopardize the film or defame the production house and/or the film, like they have done in the past with other films, will compel us to initiate legal proceedings against them," PTI quoted John Abraham Entertainment as saying. Kriarj Entertainment has now decided take necessary help from authorities to seek justice against breaches committed by John Abraham Entertainment, reported PTI. Kriarj's statement read, "After making substantial payments to them JA Ent has kept making unreasonable demands for money from us which are completely outside the scope of their initial understanding with us. This has made it abundantly clear that they are trying to defraud us by now attempting to wriggle out of a legally binding contract with us which is not only unlawful but also unethical." Parmanu: The Story of Pokhran also stars Diana Penty and Boman Irani in prominent roles.